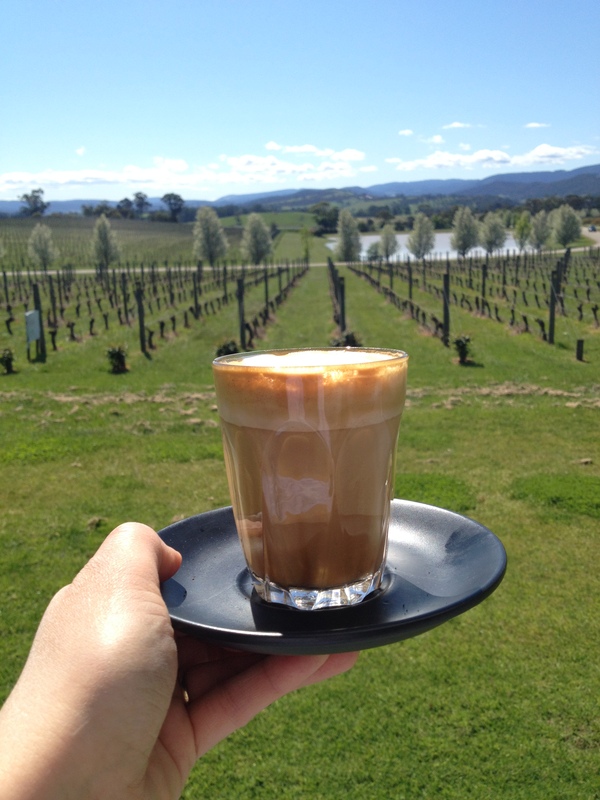 As a mother of two beautiful boys (who also take this journey around the Yarra Valley), it was a “hallelujah” moment when Instagram offered up the ‘Top Family Experiences -Yarra Valley and Dandenong Ranges’. A new mission has presented itself and in perfect timing. 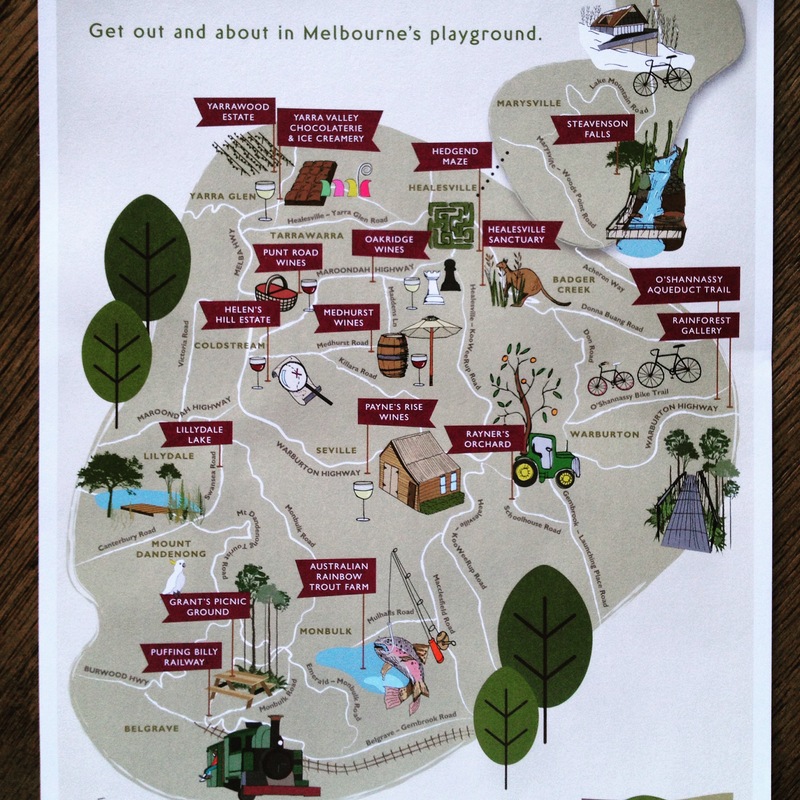 I am about to wrap up the Yarra Valley Coldstream Trail and can now begin to make my way through the most family friendly venues and experiences throughout the region. Who was the genius who posted this exciting find? 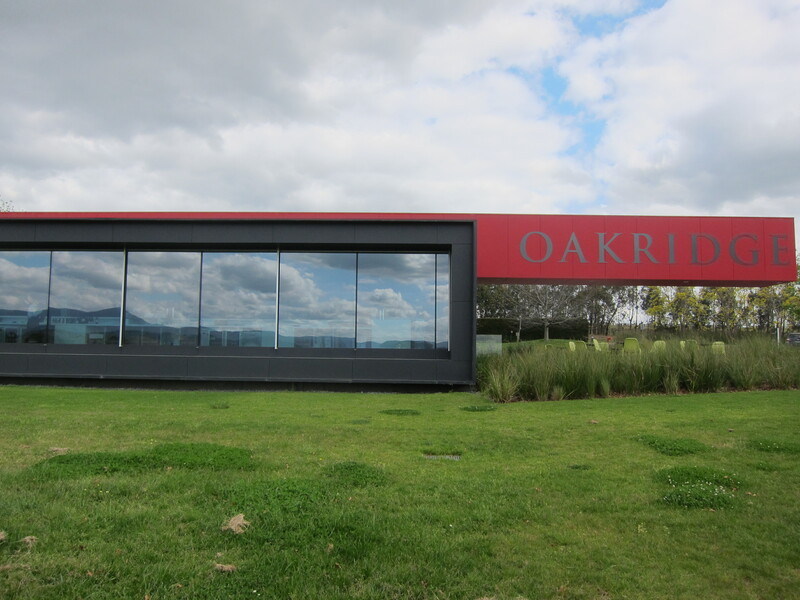 Oakridge Wines – My next experience was decided. When you enter the gates at Oakridge the first thing you will notice is the beauty. A blossom lined driveway meanders its way through the property, almost as if showing off row after row of grapevines, with their fresh new leaves bursting to soak up any rays the sun has to offer. Overlooking this beauty is an establishment of modern design, a building synonymous to the city of Melbourne, with its clean sharp lines and contemporary colour scheme. Walking towards the entrance you will notice immediately that fun is on the menu at Oakridge Wines. A giant chess board and oversized Lego blocks are located in the courtyard and will be more than enough to keep the children busy while you relax with a glass of wine and nibble on a share platter full of cured meat, hummus and pickled vegetables. Once you enter the venue a long corridor will lead you through the tasting room/cellar door, past the courtyard and terrace into the restaurant. Natural light floods the entire building through the floor to ceiling windows running the length of the rectangular structure. 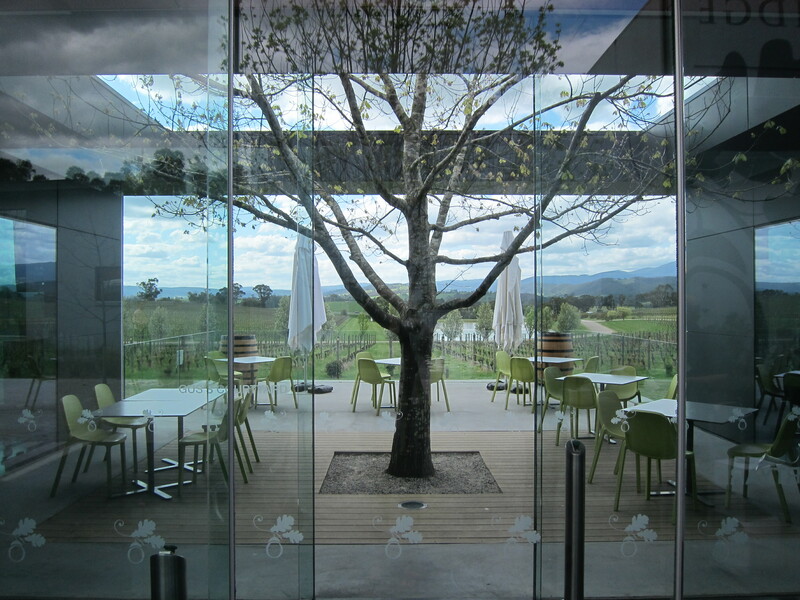 This is a stroke of design genius as it means that you are blessed with the perfect view of the vineyards from anywhere in the venue (excluding the courtyard). You are literally looking at the varieties you are drinking – I love that. 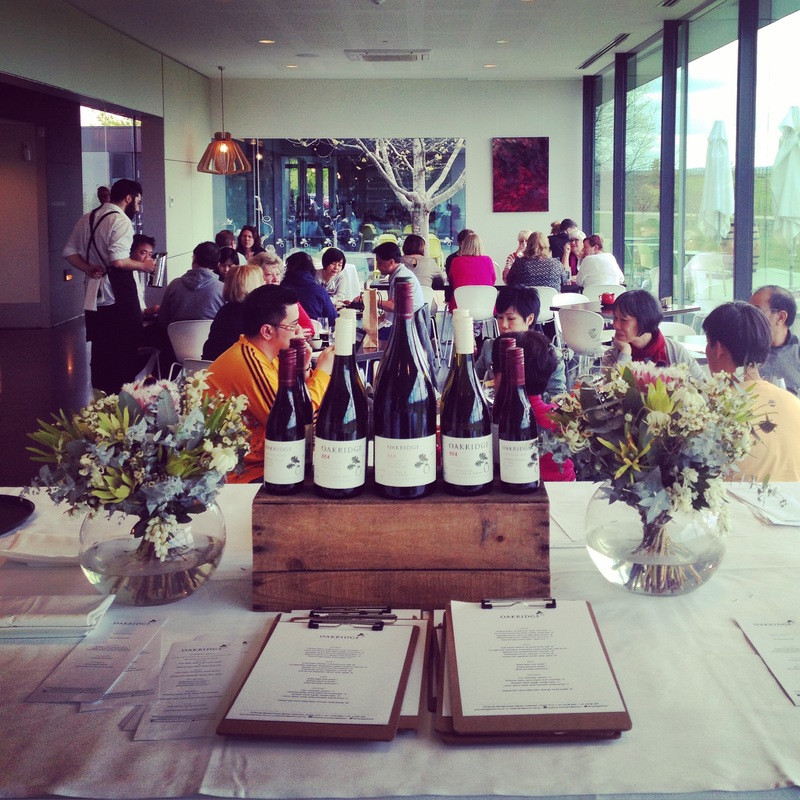 The beauty of Oakridge Wine is that they offer an express lunch during the week. 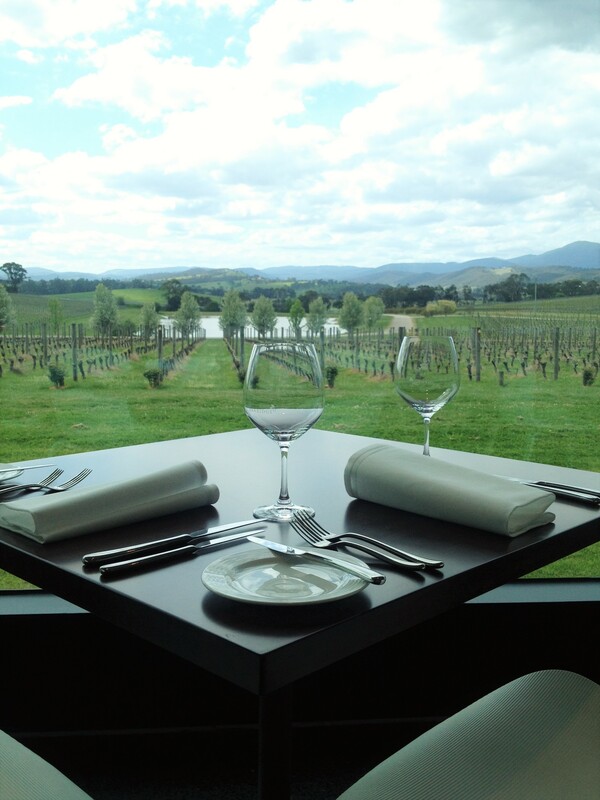 For $45 I sat down to a two course meal with a glass of wine and coffee to finish – the perfect experience. With dessert being one of my favourite courses, I naturally opted for the main and dessert –why not? The jus of the flank steak was amazing; my favourite part was wiping my plate clean with leftover bread (I highly recommend that you save a piece of the sourdough for this purpose). The savoury sounding dessert of artichoke, barley, lemon thyme and burnt chocolate was the perfect end to the meal – you really need to step out of your dessert comfort zone and take a risk on this one. The talent of head chef Matt Stone and sous chef Jo Barrette is evident in every meal that comes out of the Oakridge kitchen. The staff were very friendly (child-friendly) yet professional, with quick recommendations (like my dessert) and a strong knowledge of wine and food matches. 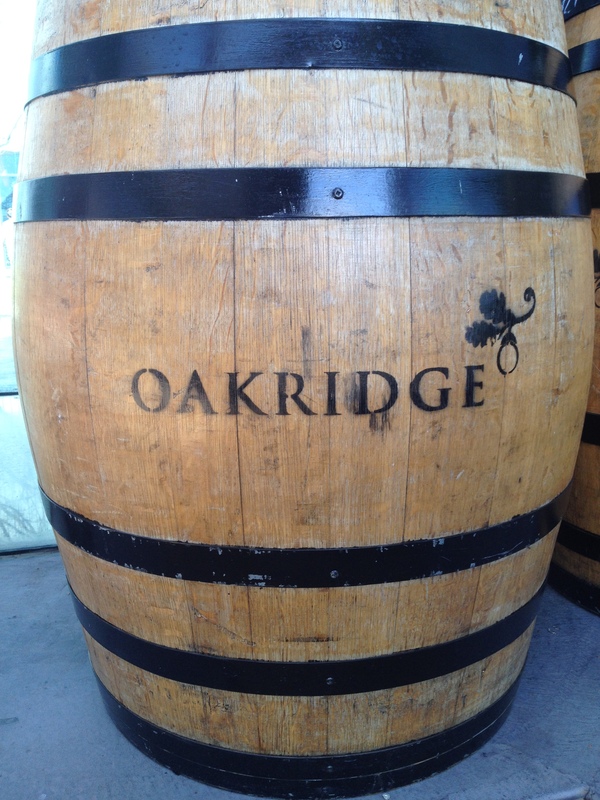 I am extremely pleased to have found Oakridge Wines and my boys enjoyed the experience as much as I did. Not only is it beautiful, it is also warm and welcoming – a top family experience. A view you will want to sit and take in.